The Henley makes a subtle style statement, and yet it still commands attention from every angle. 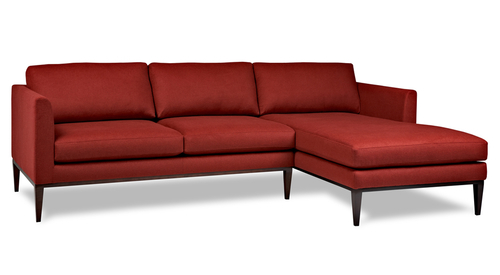 It’s generously proportioned back and seat cushions deliver convincing comfort. The narrow arm has a soft curve on the inside for a smooth, updated look. A stunning, tapered high-leg base frames the base and is available in metal and our three wood finishes. Available in several configurations, sizes, and matching pieces.